We raised chickens once (key word is ONCE), when our kids were young. It was an interesting experience to say the least. 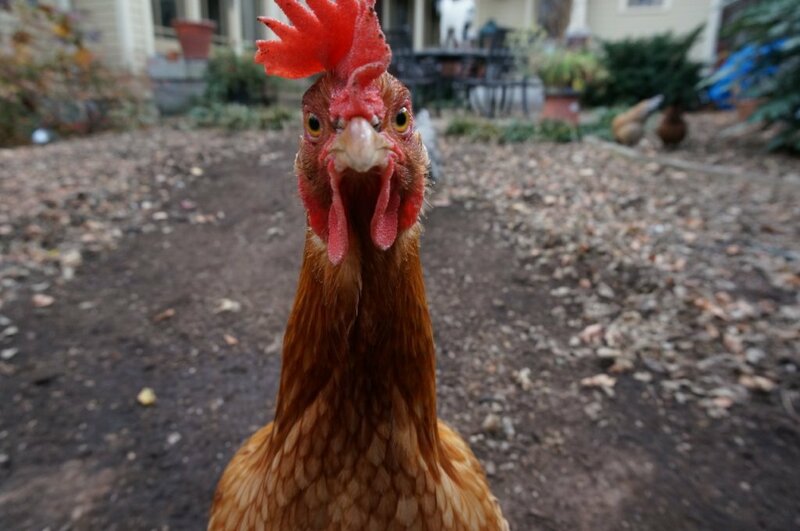 There is nothing more intimidating than to be eye to eye with a chicken that is staring you down. I remember one cold winter’s morning finding one such chicken lying seemingly dead at our back door. (It brought new meaning to the words ‘frozen chicken’.) The kids were upset that the poor chicken was so cold, or should I say so dead! It was kind of hard to explain that concept to them, as they carefully picked it up and carried it in by the wood stove to get warm. (A soft blanket was involved.) I had NO idea where this whole scenario was going.